Flat sandal in smooth black calfskin leather, adjustable ankle strap with tassel detail, black insole with gold "Lanvin" logo and a 0.4-inch heel. With ethnic chic inspiration, this flat sandal in smooth black leather gives the foot an elegant, stylish touch. 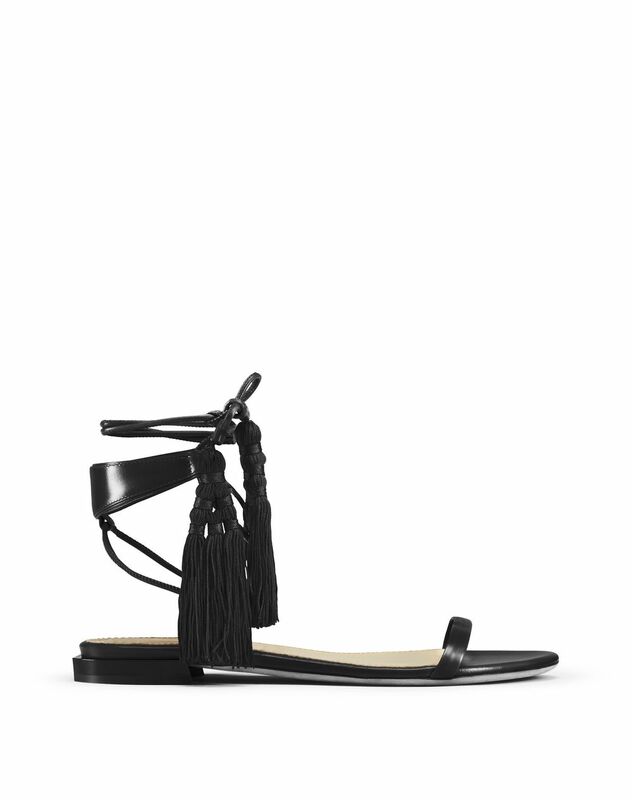 Its leather straps wrap delicately around the ankle and accentuate it with two tassels. Feminine and trendy, these sandals are one of the season’s must-haves.